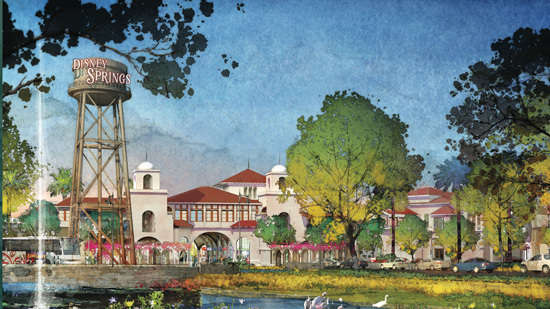 If you are planning of visiting Downtown Disney, or soon-to-be-called Disney Springs, it will get a little bit easier after November 20th. The Orlando Sentinel reports that Disney’s new five-level parking garage near Downtown Disney will partially open November 20th with about 1,700 available parking spaces. For cast members, using the garage will come sooner as a trial run will be open for them on Sunday. Disney’s global technology group for its parks-and-resorts division is undergoing a sweeping reorganization that is expected to result in some employees losing their jobs. Disney said it is eliminating some positions and replacing them with others that will help the company reach more long-term technology goals. The company would not provide specifics but said the net number of workers after the restructuring will be “similar” to its current level. Disney is also outsourcing additional information technology jobs. Most of the positions affected are in Orlando. Some are in Anaheim, Calif., where the company has Disneyland. Less than 30 percent of the technology staff works in roles Disney considers “new capabilities development.” In the new organization, that will become 65 percent. “That says you’re moving people away from maintenance into development and you want to get into a type of situation where you’re really kind of reinventing the way you’re managing your technology,” said Robert Niles, publisher of ThemeParkInsider.com. Employees have 90 days to apply for new positions within the company as part of the restructuring, Disney said. Disney will provide severance packages and job assistance for workers who do not qualify for other positions. Employees can also apply for roles with Disney’s vendors, the company said. Outsourcing work is typical in information technology, said Duncan Dickson, an instructor with the University of Central Florida’s Rosen College of Hospitality Management. Last year, Disney laid off two information-technology vice presidents, Laura Hall and Allen Fazio, who had worked more than 20 years for the company. Two other vice presidents with different skill sets were later hired, Disney said. 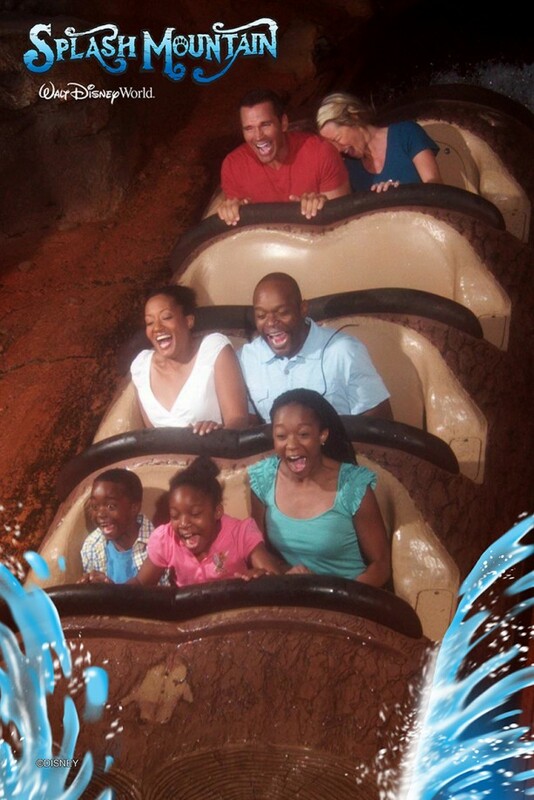 Disney has been investing heavily in technology. One of its biggest priorities has been MyMagic+, which includes a “FastPass+” reservation system allowing customers to book ride times for attractions up to two months in advance. On Tuesday it announced the latest step in that system. Guests wearing the system’s MagicBands – essentially tickets you wear on your wrist – on certain attractions can automatically view photos on their online accounts. Marvel Studios spends most of its time clamping down on secrets, so when they open up the vault, it’s usually something big. Phase 3 has been announced, and it’s everything — everything you could want. Captain Marvel! Black Panther! Inhumans! And most incredibly, a two-part Avengers: Infinity War!!! Keep checking back for updates! Among those sitting in the very front row of the theater are Anthony and Joe Russo, the directors of Captain America: The Winter Soldier, who are also overseeing the third Cap film. The brothers were also at Comic-Con last July and hoped to make an announcement about their film there, but held back at the last moment because some details weren’t finalized. Robert Downey Jr. has been in talks to co-star in Cap 3, bringing the clash between Iron Man and the do-gooder patriotic hero to the fore in a cinematic version of the Civil War comics storyline. Avengers writer-director and Marvel brain-trust member Joss Whedon was in the second row behind the Brothers Russo, who are turned around in their seats talking with him and Marvel Studios co-president Louis D’Esposito. Whedon wouldn’t be here if the event didn’t involve the broader Marvel Cinematic Universe. No casting was confirmed, obviously. Kevin Feige confirmed this will star Carol Danvers, not Mar-Vell. YESSSSS. 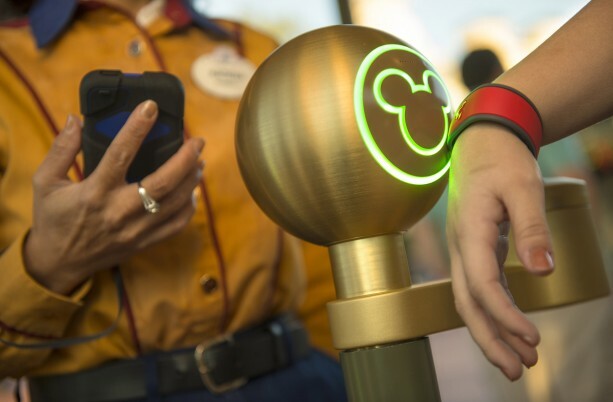 Beginning today, if you’re wearing an active MagicBand on select Walt Disney World Resort attractions, your photos will be automatically associated to your My Disney Experience account. You don’t have to do anything. In fact, if you’ve worn your MagicBand on one of the participating attractions in the last 45 days, you should be able to find that photo in your account now. Don’t have a MagicBand? Don’t worry. We’re making it easier for you, too. Today we turned on new touch points at Magic Kingdom Park (Buzz Lightyear’s Space Ranger Spin, Space Mountain, Splash Mountain). So after you ride, simply find your photo on the preview wall and touch your park ticket or Memory Maker card to the touch point to associate your photo. We expect to have photo touch points installed at Epcot, Disney’s Hollywood Studios and Disney’s Animal Kingdom theme parks by mid-November. Disney Cruise Line has announced that their tropical itineraries are getting an extra dose of pixie dust in early 2016! They’ve added the popular Caribbean ports Tortola and Martinique to our already spectacular destination lineup, and we’re returning to San Juan, Puerto Rico for another special season of Southern Caribbean sailings. In 2016, Tortola, the capital of the British Virgin Islands, is a port of call on select Disney Fantasy and Disney Magicsailings to the Eastern Caribbean from Port Canaveral, Fla. These seven-night voyages also include stops at St. Thomas and Castaway Cay. 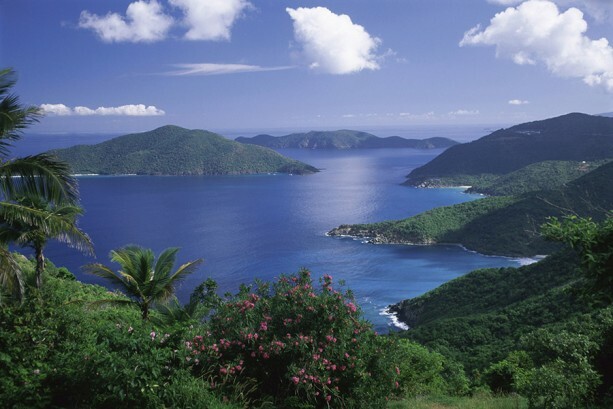 Tortola is known for tranquil beaches, stunning scenery, authentic Caribbean fare and activities for the whole family, like swimming with dolphins, exploring centuries-old ruins, sampling local spices on Main Street and taking in the views from Sage Mountain National Park. Disney is returning to the Southern Caribbean with four sailings from San Juan, Puerto Rico, calling on the French island of Martinique in addition to Barbados, Grenada, Antigua and St. Kitts. These seven-night voyages on the Disney Wonder depart January 2016. Known as the “Flower of the Caribbean,” Martinique offers a unique island experience with its natural beauty and cosmopolitan culture of French and Creole influence. Families can spend the day here exploring the rainforest, waterfalls and volcanic landmarks or, for a more upscale experience, enjoying delicious French cuisine and fantastic shopping. Disney Cruise Line will also continue sailing from Port Canaveral and Miami to the Bahamas and Caribbean on a variety of itineraries. Options include three, four and seven-night cruises from Port Canaveral and four and five-night cruises from Miami. All of these voyages include a stop at Castaway Cay. More details on 2016 itineraries can be found on the Itineraries and Ports for 2016 page of disneycruise.com. Disney has announced that Chef Masaharu Morimoto, who many of you know from his appearances on Iron Chef America, is opening a one-of-a-kind dining experience in the heart of Disney Springs at the Walt Disney World Resort. 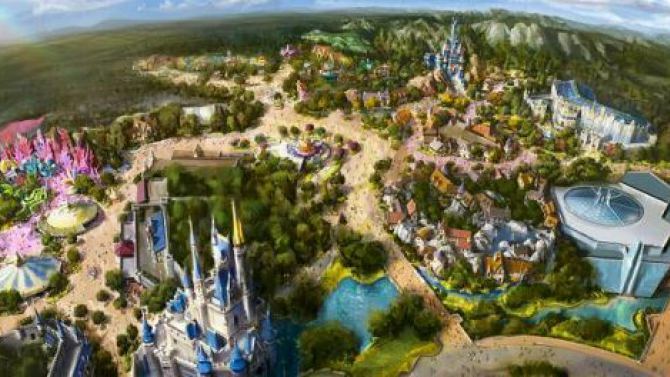 Disney Spokesman Bryan Malenius has confirmed that the park plans to reimagine the park’s central plaza by removing the Sorcerer’s Hat in early 2015. Removing the hat will restore the careful perspective to Hollywood Boulevard. The hat debuted in September 2001 as part of the “100 Years of Magic” celebration that marked Walt Disney’s 100th birthday. 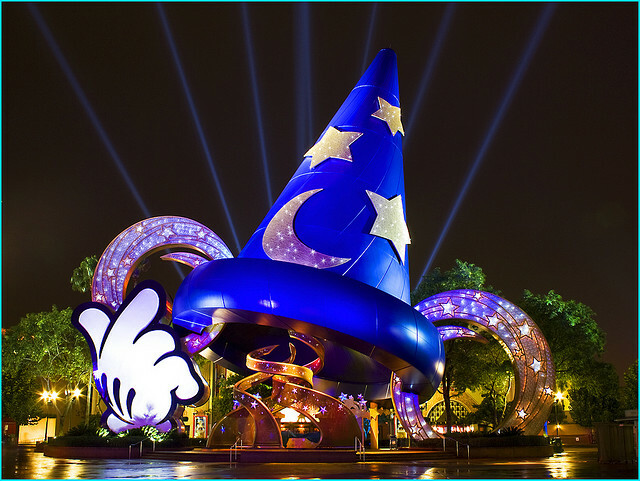 The story that the Sorcerer’s Hat will be removed by Imagineering at Disney’s Hollywood Studios has been wished for for a number of years by many Disney fans and it’s been rumored by a number of websites pretty heavily for the last couple of weeks. I’ve been reluctant to report it because I’ve not trusted the sources and nothing has been announced by Disney…..that was until now. Disney still has not announced anything, but I have been seeing reports that this is going to happen by people that I do trust who state that they have solid reliable sources, but to be fair…until this is announced my Disney, it still technically is still a rumor and could change. After many many years and rumors of the giant Sorcerer’s Hat leaving Disney’s Hollywood Studios, it appears as if they are finally going to come true. While Disney has not yet confirmed it or announced it publicly, I have gotten confirmation from a very reliable source that has never been wrong…and that’s for very good reasons known to me. Sources are also claiming that the “Legend of Jack Sparrow” show will be leaving November 6th. So, if you are a fan of this show….you better hurry and see it. There as been nothing mentioned as to what could be replacing Jack Sparrow. As for the Sorcerer’s Hat, sources seem to think that nothing will be done until sometime in 2015. Also, there has been no mention as to what if anything will happen to the pin location that has seen it’s home be under the hat for a number of years. I cannot reiterate enough that until Disney officially announces anything regarding the Sorcerer’s Hat and Legend of Jack Sparrow, things can and have been known to change. There will only be solid confirmation when Disney officially announces something. Author RayPosted on October 24, 2014 Categories Disney StudiosTags Jon Musker, Moana, Ron Clements, Walt Disney Animation StudiosLeave a comment on Walt Disney Animation Studios Announces 2016 Film: Moana!